The MR20DE engine replaced the engine QR20DE on the production line. 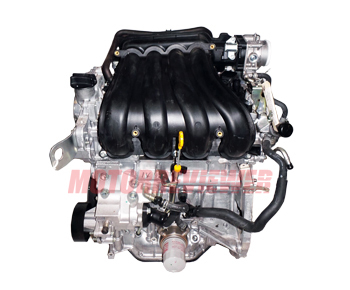 It is more powerful and torquey engine with a reliable timing chain. The MR20DE warranty is longer than the QR20DE (about 200,000 miles). The engine was equipped with variable valve timing system (VVT) on the intake camshaft. The engine has not hydraulic tappets. If you hear rising noise from the engine, this probably the first sign of increased valve gaps. Washers adjust valve clearances. The engine has a simple design. Bottom line, the MR20DE quite an ordinary engine, with its advantages and disadvantages. The 1.6-liter HR16DE engine is the smaller version of this engine. 1. High oil consumption. This problem can be the symptom of broken oil rings or damage to a cylinder surface. 2. Timing chain noise. This issue often is accompanied by unstable idle and loss of power. You need to change the timing chain. 3. We should mention such problem as cylinder head cracks. When replacing the spark plug, it is important not to twist them with a lot of torque. To avoid such issue, also it is necessary to change spark plugs on a cold engine.